HyCOMFORT Waffle Stud Girth is an anatomically shaped stud guard which helps promote freedom of movement particularly over fences. Super strong yet soft material, textured to allow airflow. Shaped for extra comfort. Broad belly pad with a martingale attachment and ring. Moves comfortably without chaffing or rubbing. Elasticated at both ends with Stainless Steel roller buckles. Easy to wipe clean. 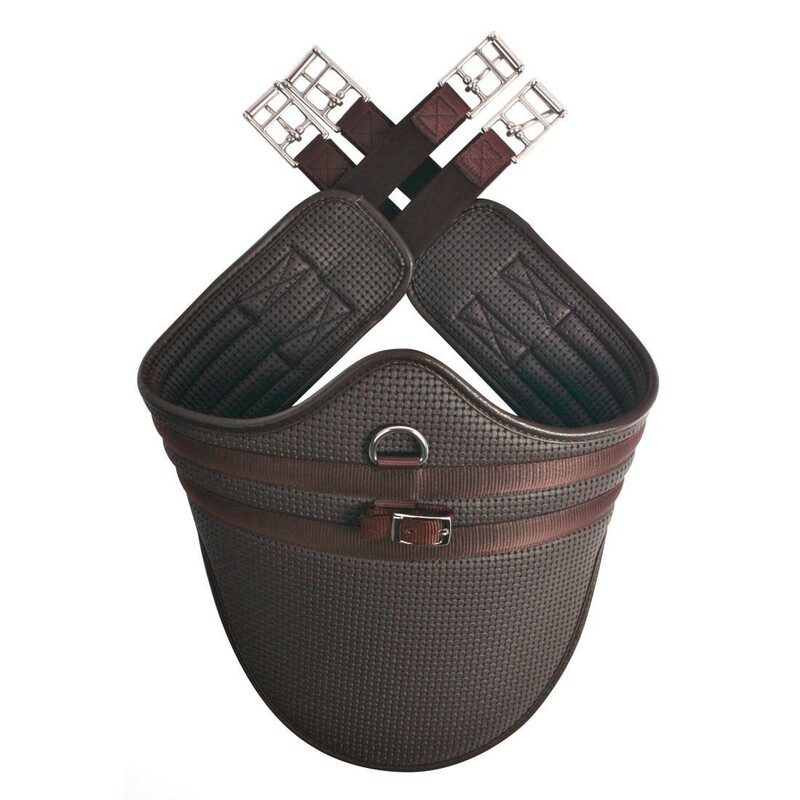 There are currently no questions for HyCOMFORT Waffle Stud Girth - be the first to ask one!